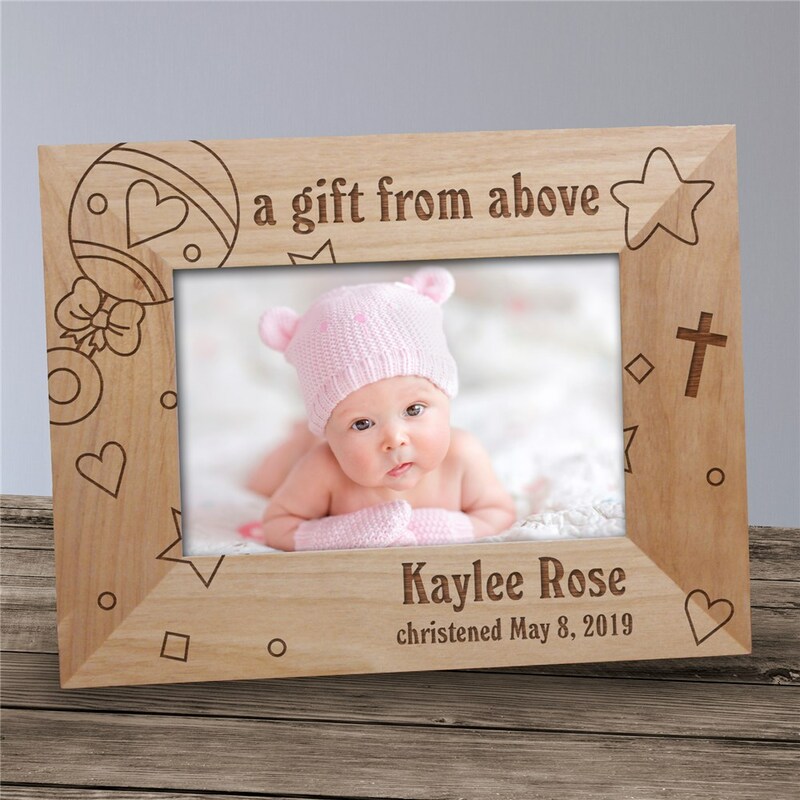 Our Personalized Wood Baby Photo Frame features Baby's Name and Special Date professionally engraved for optimal presentation on your desk or on the wall. These Personalized Newborn Gifts make a perfect new baby gift, Christening or Baptism gift. Our Personalized Baby Photo Frame comes in three sizes, please choose from, 4"x6, 5"x7" and 8"x10". Easel back allows for desk display. Includes FREE Personalization! Personalize your Baby Rattle Baby Photo Frame with any name and date. I would tell others to buy this as well. GiftsForYouNow.com offers a wide variety of Personalized Christian Gifts. Our Personalized Gifts are perfect for First Communions, Confirmations, Baptisms or Christenings. We also have Gifts for Godparents, Godmothers & Godfathers. For all of your Personalized Gift needs, shop at GiftsForYouNow.com. Personalized Gifts for all occasions.